Welcome to our Transformations Page for 2014! These transformations are not just about the “before and after”, the amount of weight lost or dramatic unsustainable changes. 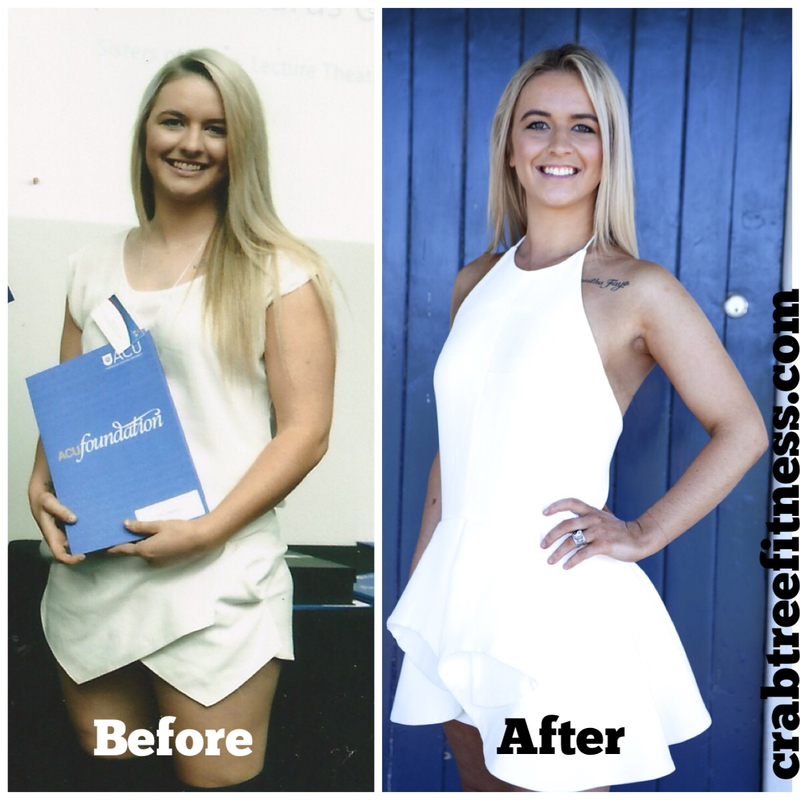 As you will see in the following testimonials, the benefits are about a variety of positive life changes, such as an improvement in physical health, mental health, confidence and self esteem. These guys have become more ambitious and continue to set goals for themselves. We have not used photo-shop or altered the “after” images in any way. The clients all provided their own “before” photos and the testimonials are all in their own words, unedited by us. We thank them deeply as it takes great courage to put yourself out there in the public eye, particularly the use of the before photos! Congratulations to Claire, Matty, Elli, Elise and Chrissie! I can’t thank Jackie and Paul enough for all their help over my time at Crabtree Fitness Professionals, so far. I have learnt so much about taking care of myself. Next Post What’s in your bucket for 2015?